3m 75kvdc high voltage cable, in medical conditions, is an important part of the X-ray machine and an important part to ensure the normal operation of the X-ray machine. 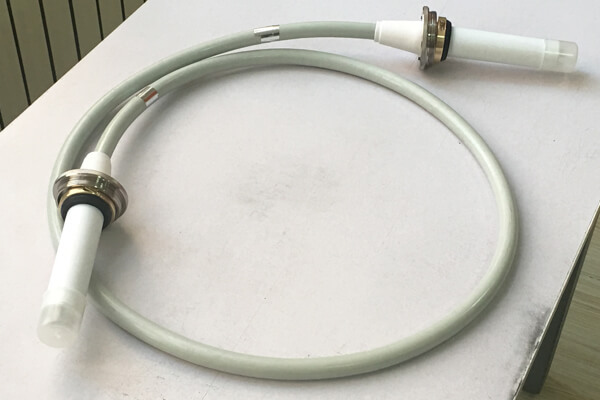 The high-elastic soft medical 3m 75kvdc high voltage cable is equipped with high voltage connector, including the insulating core formed by a layer of high-elastic PVC insulation layer on the outer of multi-stranded finely silvered copper conductor. The conductor of 3m 75kvdc high voltage cable has good bending resistance and high softness. Avoid electromagnetic crosstalk of transmission signals; Good effect on electromagnetic interference shielding outside the cable itself; It has many excellent properties, such as soft and wear resistance, hydrolysis resistance, anti-bacteria, anti-adhesion and anti-ultraviolet, which improves the service life of the cable under harsh environment. The elasticity of the sheath of 3m 75kvdc high voltage cable has an excellent protective effect on the internal structure. Newheek 3m 75kvdc high voltage cable is divided into 75KV and 90KV, respectively connected to different X-ray machines, connected to X-ray tube and generator, and the high-pressure generated by the generator is transmitted to all parts of the X-ray machine to maintain normal operation. Newheek 3m 75kvdc high voltage cable can meet your different purchasing needs.